MOSCOW, February 5. /TASS/. 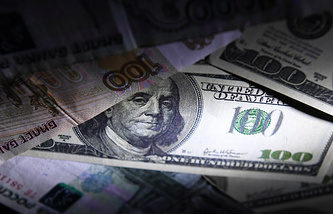 Moscow and Tehran have given up the dollar in settlement payments and plan to shift completely to national currencies, with euro to be used if there are no other options, Russia’s Ambassador to Iran Levan Dzhagaryan said in an interview with TASS. "It is crucial for Russia to shift to national currencies in settlement payments with Iran. We will be using all existing means to bring the mentioned indicators to the highest possible level," he noted, adding that virtually Moscow "has already given up the dollar in cooperation with Iran." "We will rely on the Russian ruble and the Iranian rial, and on the euro if absolutely necessary, if there are no other options," the diplomat emphasized. "That is a challenging task, though I believe that the banking structures of the two countries have the potential required to successfully implement the tasks," he added. In the autumn of 2018, Russia’s Energy Minister Alexander Novak said that about 25-30% of settlements between Russia and Iran were conducted in national currencies.